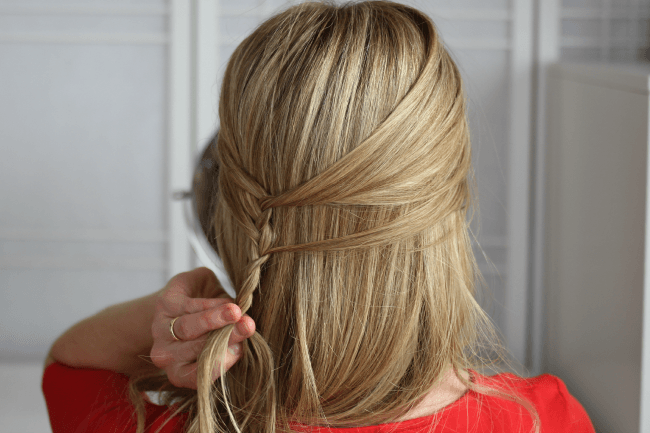 Mermaid Tail Braid looks tricky but is easy to learn if you already love doing French Braids. This hairdo happened by accident one day when I decided to simply mess around with my hair. I absolutely love French Braids and thinking back to this hairstyle, Braid #4 Half Up Bohemian Braids, I decided to just keep braiding until I reached the bottom to see how it would turn out. I loved the look so much I decided to recreate it as a tutorial. 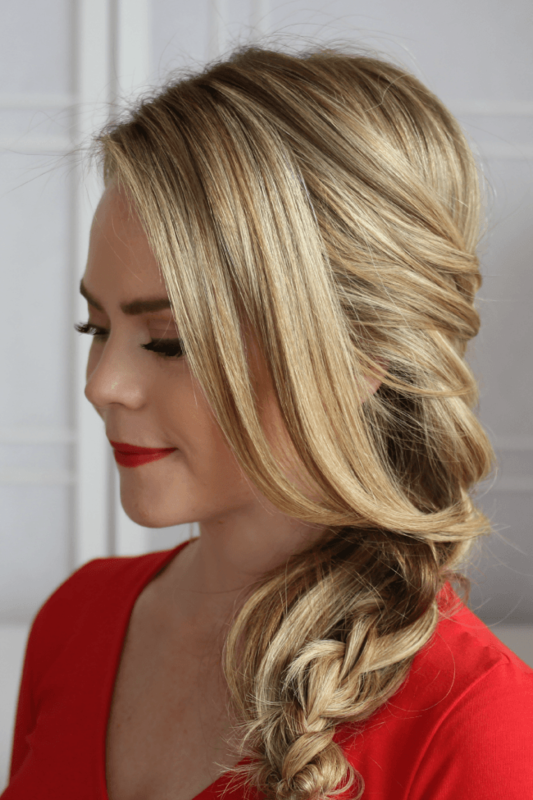 I love this look and hope you do too! 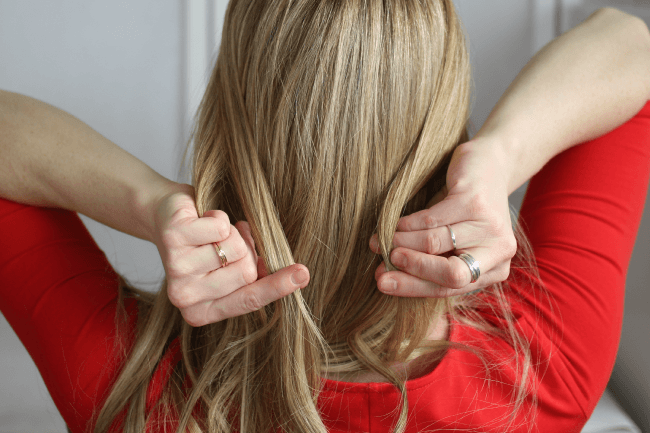 Step 1 / Start by taking three sections of hair and pulling them to the back of the head; two strands on the left side and one on the right. 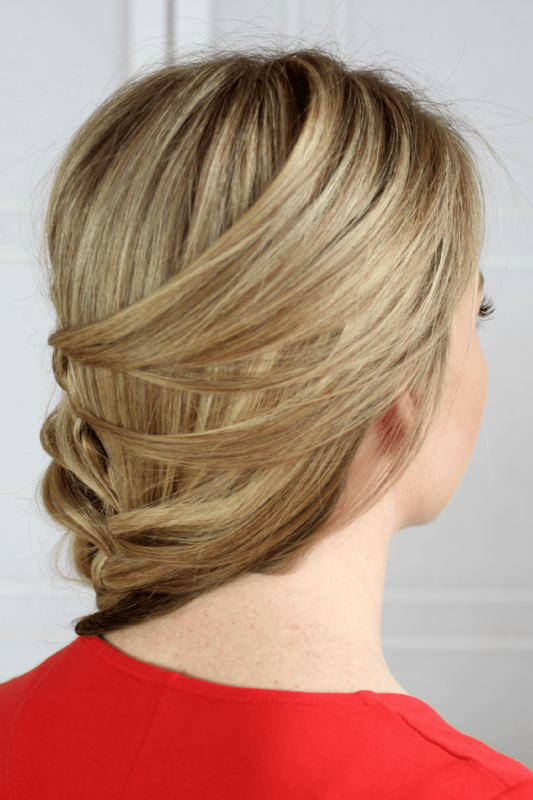 Step 2 / With the three strands, begin a regular style braid. New to braiding? 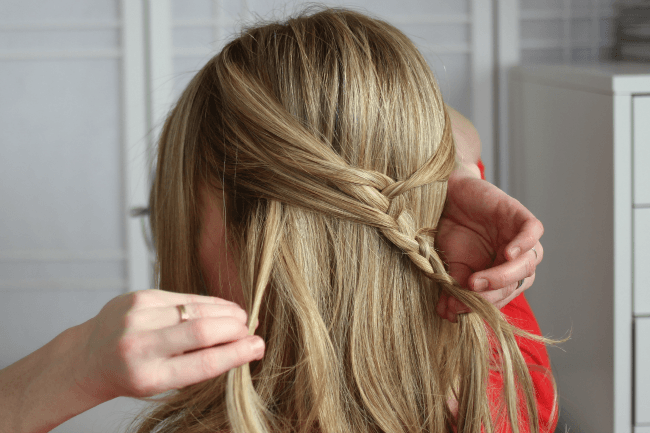 Here’s a quick video that will teach you how, How to Braid. 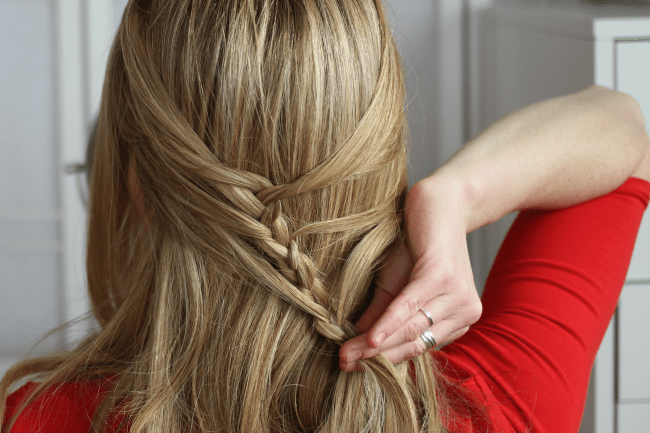 Step 3 / After 2 or 3 stitches of a regular braid, take a skinny strand from the right side of the head and incorporate it into the braid. *The smaller the strands the more detailed the style will look. 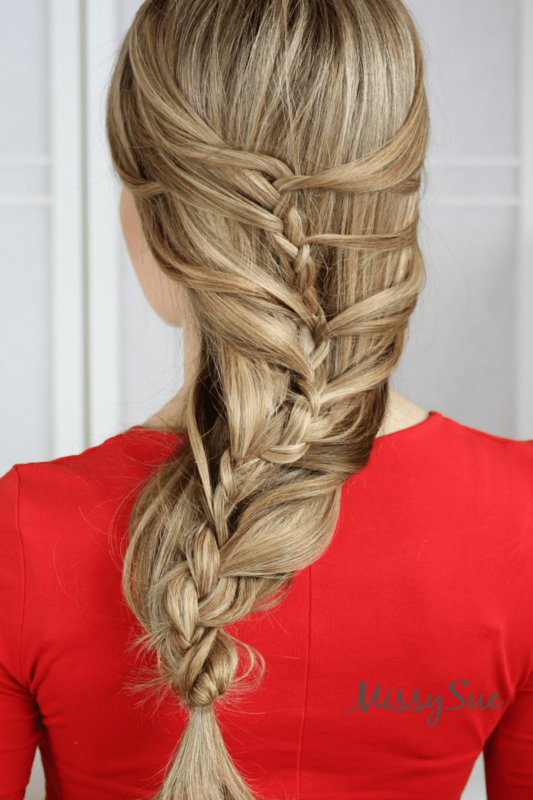 The method is similar to how you would do a French braid. Step 4 / Now braid 2 to 3 more stitches of a regular braid. Step 5 / Next, take another small section from the left side of the head to incorporate into the braid. Step 6 / Repeat these steps working down the hair. 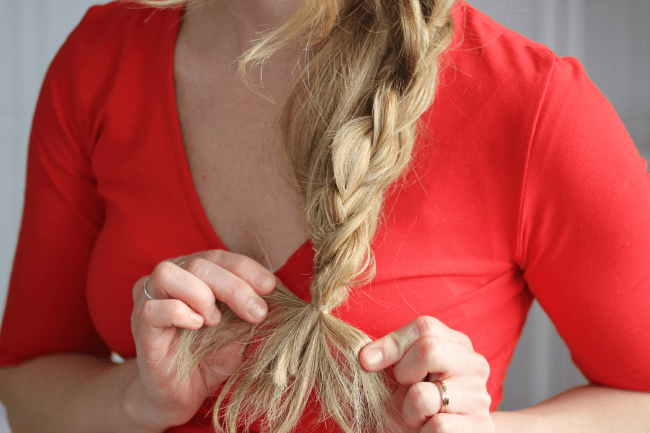 Pull in a strand, 2-3 stitches, pull in a strand from the opposite side, etc. 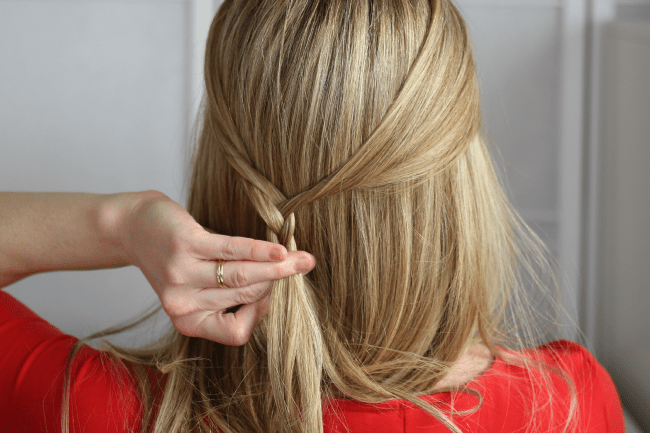 Step 7 / When you reach the bottom of the hair, tie off the end with a clear elastic band. The length of my hair and the shortness of my arms is the resulting factors behind the messiness of my braid. You can make yours as neat as you like or as messy and casual as you prefer. 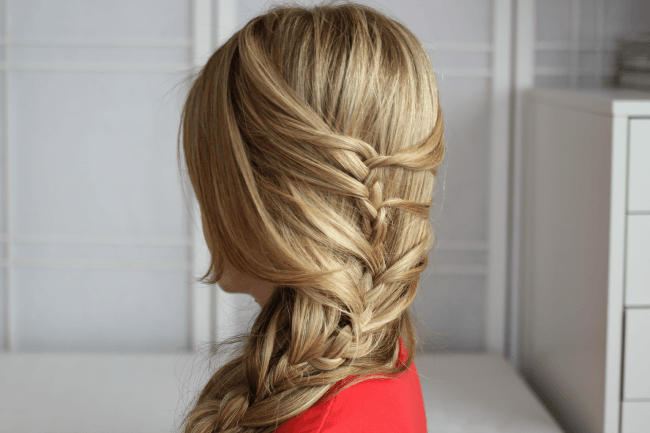 Either way, I think it is a really gorgeous braid and hope you try it out! This is so beautiful! I absolutely must try it for school one day. This is soooooooooooo cute!!! Love it!